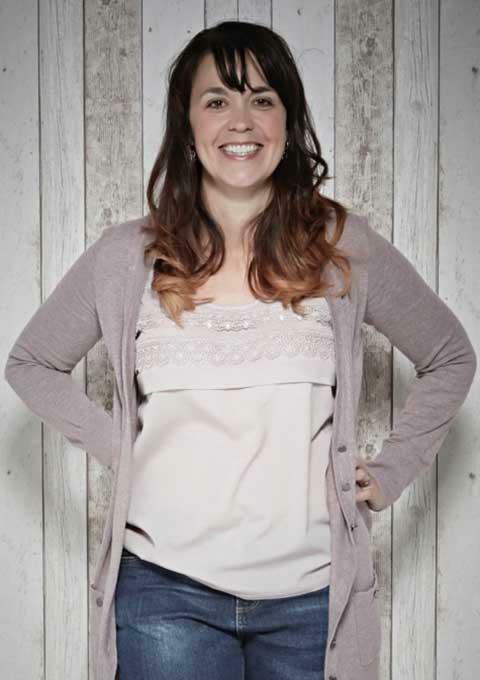 Emma White - Jewellery designer, teacher, mum, stepmum and lover of sunshine and rocky road. I have been designing and making jewellery for forever it seems! About 20 years actually, since graduating with a first from Art College in Dundee. I started out supplying galleries and shops around the country with my silver design-led jewellery. I opened my 'bricks and mortar' jewellery boutique in 2004 in the small Yorkshire village of Farsley. I also own and manage a jewellery school teaching adults to design and make their very own jewellery collections in silver. I started selling online in about 2008 and eventually, whilst heavily pregnant with Henry, I was literally in labour when I handed the keys back, I closed the shop to focus on the selling online boom and teaching my lovely students jewellery skills. I met many fabulous women and generally had so much fun I couldn't believe I was lucky enough to teach them for a living. I am very passionate about teaching adults and the benefits of lifelong learning and having hobbies for fun, headspace and long term happiness. The online side of the business continued to flourish. In the last 7 years I have worked hard making many beautiful things but my 3 favourite bestest ever creations are my children Henry, Arthur and Mabel! They have inspired me at the bench and I really enjoy making pieces that celebrate family and special relationships, whilst juggling being a busy hands on mum! Life is never dull! Excitingly, I am now welcoming some new jewellers to the online team, all designer makers like myself, ruining their hands at the bench peg as I do, all over Britain, making beautiful pieces of jewellery for small galleries and individuals with fabulous taste, people like you! The expansion to the team led to my decision to re-brand the site in 2018, which is now aptly named, 'The Jewllery Makers'. I am usually showcasing here a range of my own collections, including the incredibly popular Tiny Text collection and my signature butterflies, along my expanding the Geometric range. However it's not just me! Please explore the beautiful work of the 11 other Jewellery Makers who sell their gorgeous handmade jewellery on the website, there are lots of stunning handmade jewellery designs to look at and I'm sure you will find something special in their diverse handmade jewellery collections. I'm so proud to present them to you. Do shout if you want to find out about classes, commissions or special orders and I will be happy to speak to you. Following us on social media (Instagram and Facebook) will give you a window into the latest on all of our activities and generally lots of waffle on jewellery'n'other stuff that I think you might like!